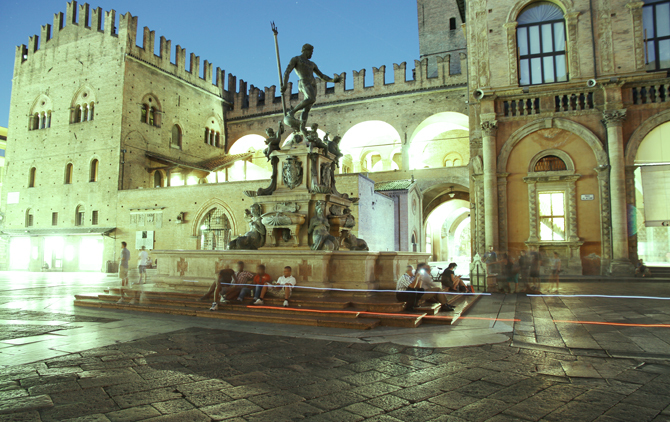 This building was begun in 1245 as an extension of the town’s administrative buildings and was called the new Palace – “Palatium Novum”. However on 26 May 1249 an important historical event changed its final destiny. During the battle of Fossalta on the river Panaro north of the city, the Bolognese beat Modenese forces and managed to capture Enzo, King of Sardinia and illegitimate son of the Holy Roman Emperor Frederick II of Hohenstaufen. Frederick tried in vain to ransom his son. It appears he even offered a quantity of gold thread that was long enough to circumvent the walls of the city, but all to no avail. 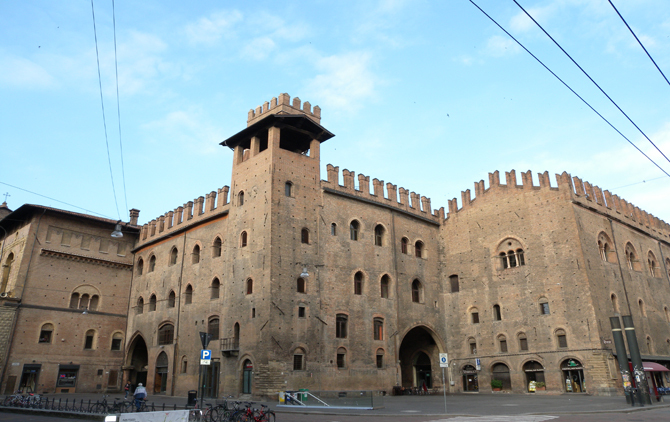 Enzo was imprisoned in the Palatium Novum and spent the remaining 23 years of his life there. Upon his death in 1272 and he was buried according to his wishes in the Basilica of St Dominic. 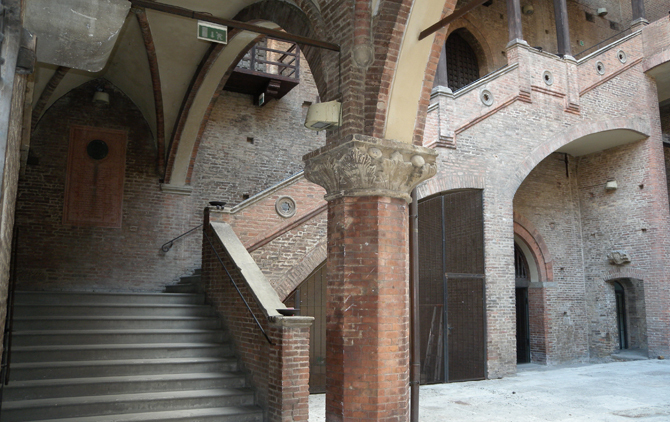 During his imprisonment Enzo was allowed a small court of servants, musicians, and poets to keep him company. He too wrote poetry and was allowed to receive female visitors. In his will Enzo mentioned three illegitimate children however other sources mention a fourth child born to a peasant girl Lucia Di Viadagola who is said to be the founder of the famous Bentivoglio family who would later rule Bologna. Nowadays the building is one of the most important cultural centres in the city hosting exhibitions and conferences. 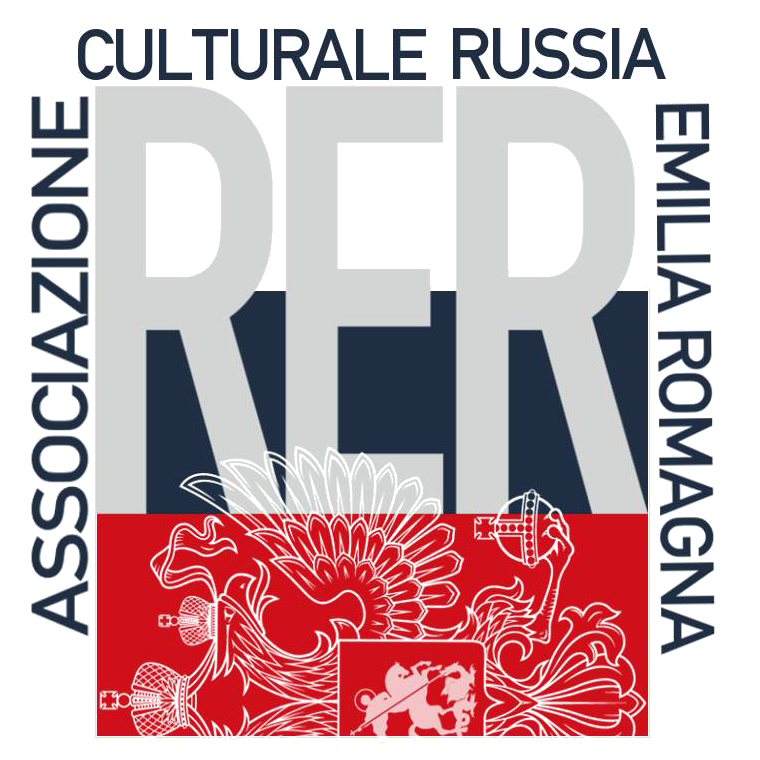 Share the post "Palazzo Re Enzo"